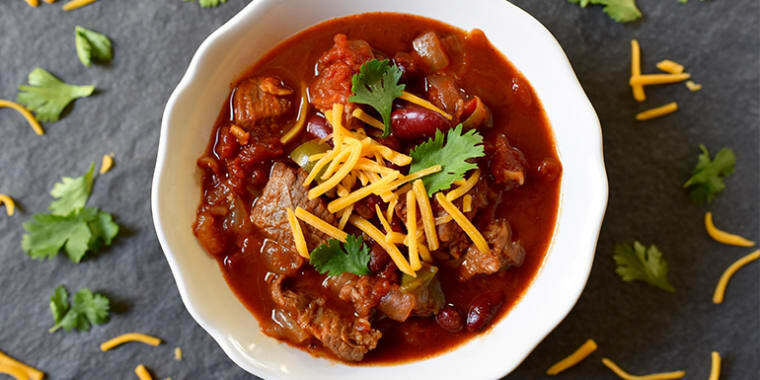 This hearty chili is great for dinner and and tastes even better when you reheat it for lunch the next day. 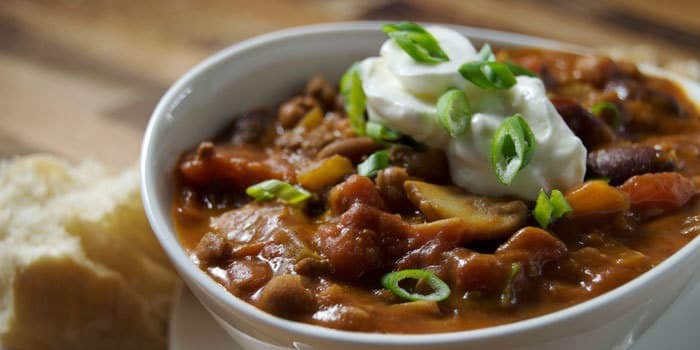 My go-to chili recipe on a busy weeknight is a vegan, bean-based number. 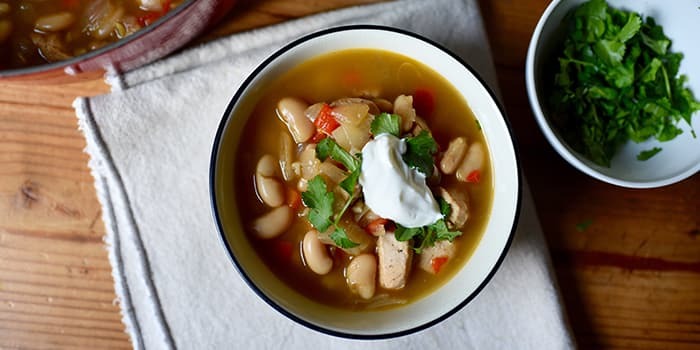 It’s easy, because there is usually a can of beans and some version of canned tomato product in the cupboard. 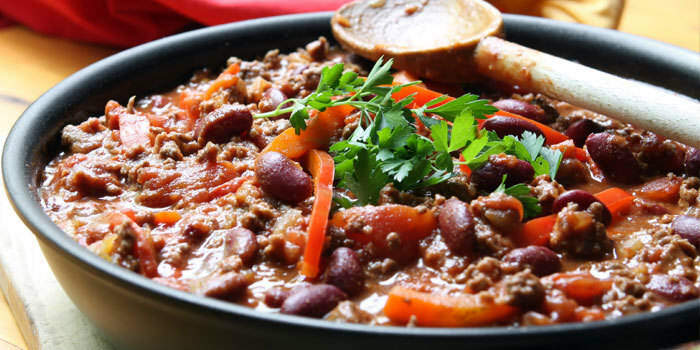 I spice that up with chili powder and ground cumin, toss in a mishmash of vegetables, and dinner is served in about 30 minutes. 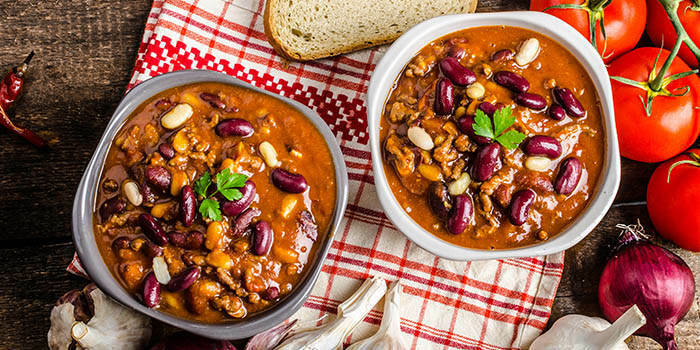 This recipe calls for two cans of kidney beans, but you can use any beans you like, or try two different colors of beans, like we did here.